Eighties fashion is revived! 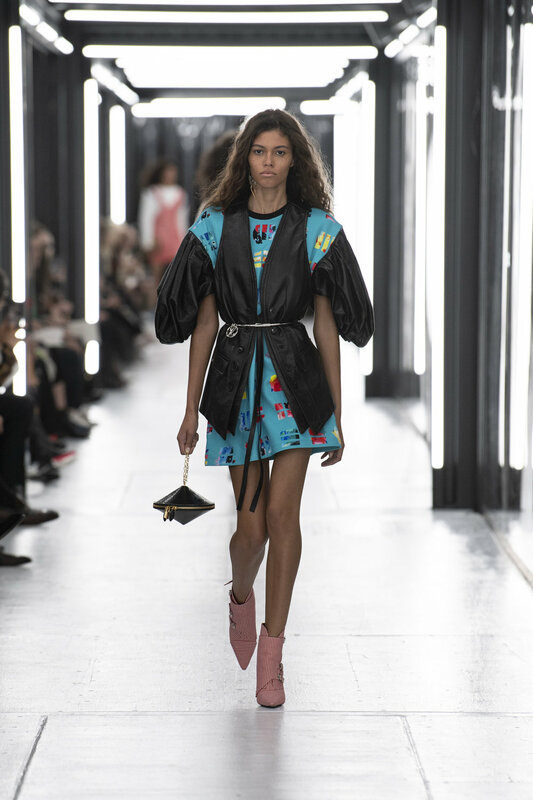 Puffy sleeves, padded shoulders, and vibrant prints paraded the catwalks this season at Paris Fashion Week. Spandex shorts are already sweeping the streets, and now Paris Fashion Week brings back some more forgotten treasures. We were dazzled by these comeback retro looks. 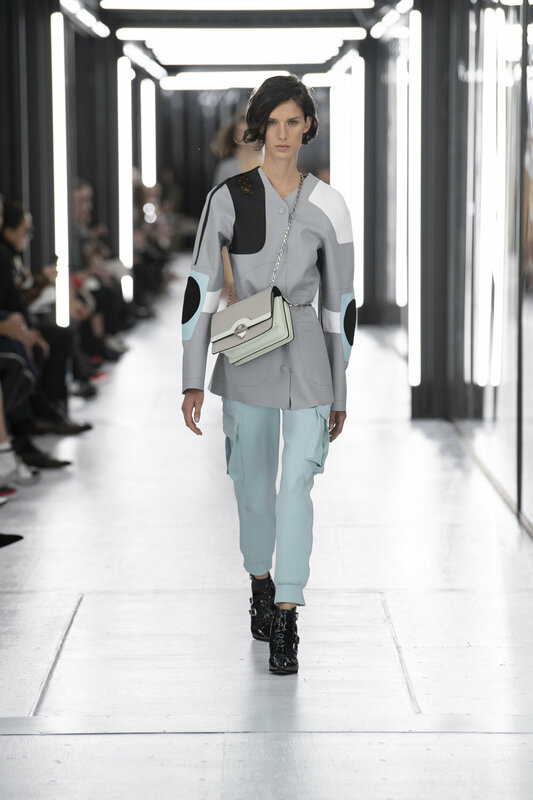 The Louis Vuitton women’s SS19 collection by Nicolas Ghesquiière, impressed as it successfully mixes eighties looks with captivating, futuristic themes. 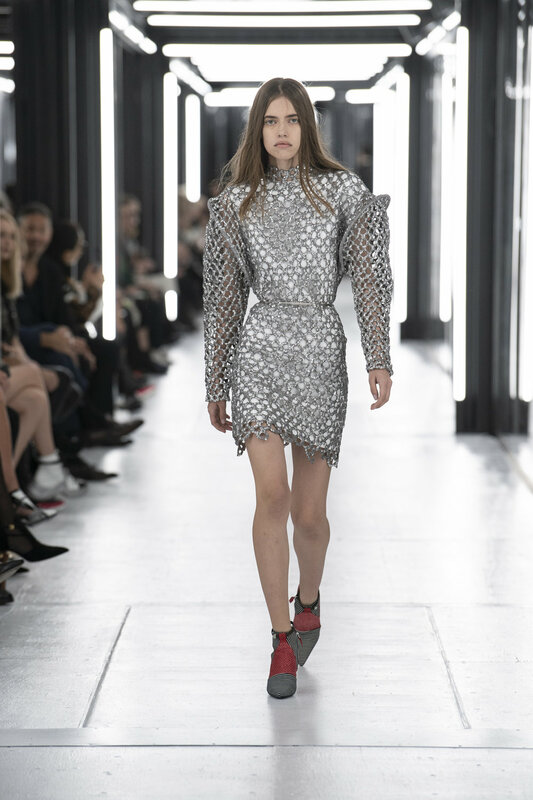 Ghesquière, the Artistic Director of Women’s Collections at Louis Vuitton, uses exaggerated and geometric silhouettes in his new collection. Blazers are oversized, with large shoulder padding and peaked lapels. The most emphasized aspect of the collection is the wide, blouson sleeves. These large, amorphous sleeves dramatize the pieces and make them so memorable. The collection ties outer space influences with vibrant colours and bold abstract prints which makes the 80’s classics more refreshing. The splatter paint prints, the neon colours and the strong patterns are striking. The fringy metal epaulettes on the flocked velvet, and the fantasy pauldron looking shoulder shapes would be seen on the trendiest spaceships in the galaxy. The embroidered mesh and plastic for the dresses and sleeves add another sci-fi dimension to the collection. The futuristic motif continues as there are incredible, flying saucer shaped purses, and fine-lined, bonnet looking utopian hats that would pair great with a space suit. Finally, the collection includes utopian, neoprene pieces. These youthful, sporty looks are subdued in soft toned colors with camouflaged buttons. The main body of the pieces are simple highlighting the fabulous block-printed sleeves. The sections balance each other out and come together to form an incredible striking look. Louis Vuitton impressed, like always. Getting a real close up look at the meticulous beading and embroidery made me appreciate the fine materials and details even more.